When shopping for summer essentials this weekend, keep in mind our go to for the hot weather; lace shorts. 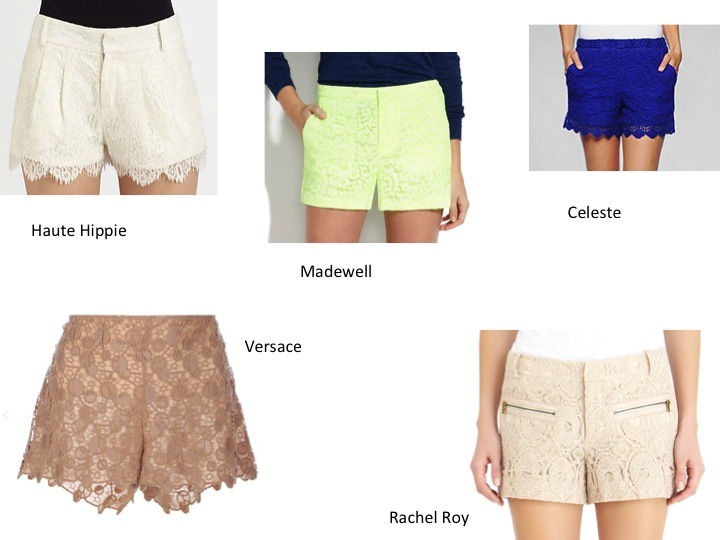 Easy, breezy, and always fashionable, lace shorts are the perfect addition to your summer wardrobe. Dress them up or down, they will keep you looking and feeling cool all summer long.